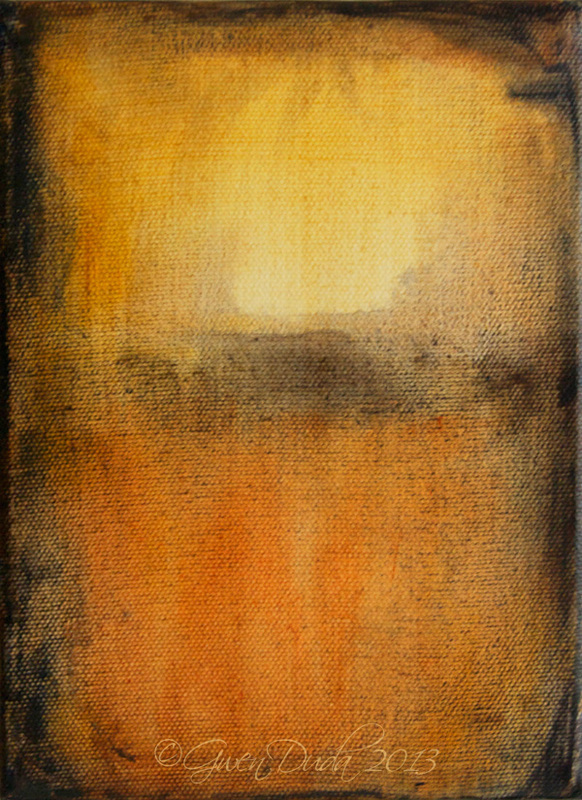 A very evocative original acrylic abstract landscape in black, burnt sienna, brown and gold. Measuring 6" x 8" and painted on the sides in rich black/burnt sienna to be displayed just as is or framed. Painting signed and dated on the side. Starting an abstract painting most times I have no idea what it will become. I put down line in charcoal or paint and follow with colour. The painting then reveals itself and I follow it's wishes. It's a magical experience.